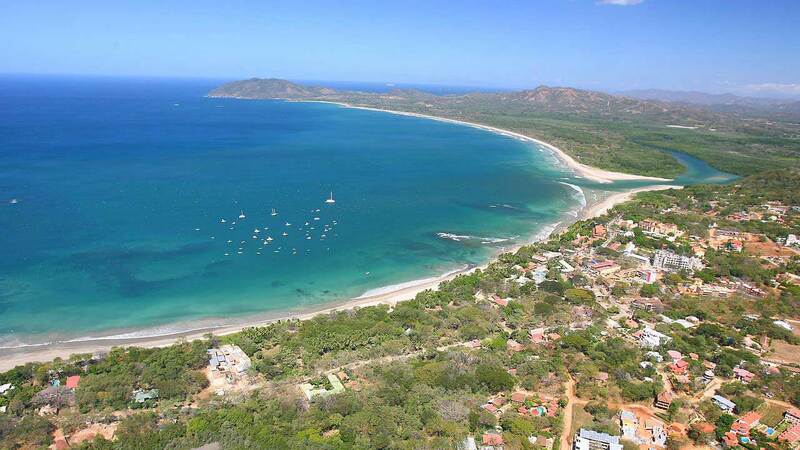 At the end of April, we’ll be sending our team to Tamarindo, Costa Rica. This four day consultation will assist the General Contractor and Architect in their development of a residence that includes a large glass Skyco skylight (22’ x 19’). This will be our first trip outside the US to assist in day-lighting needs. Tamarindo is best known for it’s pristine beaches and prime surfing conditions. We’re thrilled to not only expand our reach in the industry, but to also visit such a beautiful part of the world. Westerra Credit Union in Lakewood, CO, contacted us with complaints of energy inefficiency and sun glaring from their existing ridge skylight. For years, the skylight has been covered with a custom made tarp to limit those effects. In May, we will be replacing all the sections of glazing the skylight holds with new high performance tinted glass. Tarps, covers and other miscellaneous materials are typically used as quick & cheap remedies for issues like heat gain, minor leaking, glares, etc. The common misconception is that a full replacement of the entire skylight and/or its glazing will be more costly. Unfortunately, those “band-aid” fixes are only temporary and require constant maintenance. The worst cases will end up creating secondary issues, such as interior or exterior damage to the building. A longer term solution on the other hand, will always be backed by our workmanship and product warranties. You’ll also be able to enjoy your skylight! Complete window replacement | Mountain Plaza Condominiums. 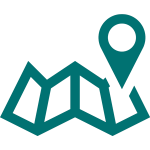 The Mountain Plaza Condos are located In the heart of Copper Mountain Ski Resort’s Center Village, at the base of the American Eagle lift. We will replace all windows from the first through the sixth floor using windows manufactured by Seal Craft. Monarch Casino Black Hawk expansion. Once completed, the Monarch Casino Black Hawk expansion will nearly double the casino space and will add a 23 story hotel tower with approximately 500 guest rooms and suites, an upscale spa and pool facility, four restaurants (bringing the total to five restaurants), additional bars, a new parking structure and associated support facilities. Thursday, November 29, 2018 — Monarch Casino Resort Spa is celebrating a major construction milestone: reaching its final height of 23 stories. Our part of the project will be to install four ridge skylights manufactured by Oldcastle BuildingEnvelopes. Four ridge skylights manufactured by Oldcastle BuildingEnvelopes. Re-skin existing glass pyramid skylight. CPI (1) unit(s)-2.75″ CUSTOM SKIN PYRAMID 23.00′ wide x 23.00′ long odc. 12.86′ on slope odc. We are replacing an old, troublesome, fiberglass skylight with a CPI Daylighting Single Slope Quadwall polycarbonate system. 20.50′ wide x 18.00′ long. We are also Installing new flashing along the perimeter. In October of 2017, all outer acrylic lenses were replaced—96 panels on all 26 skylights—with new polycarbonate lenses including new gaskets and sealants. The upcoming project will be gutter repairs using DOWSIL™ 123 Silicone Seal-All. A pre-formed, ultra-low modulus silicone extrusion that is bonded to substrates using DOWSIL™ 791 Silicone Perimeter Sealant or DOWSIL™ 795 Silicone Building Sealant. DOWSIL™ 123 Silicone Seal can be used in both new and remedial construction applications. 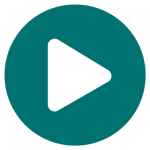 Quaker Bridge Mall is in Lawrence Township, New Jersey located just a few minutes south of Princeton University. The mall was originally built in 1975 and underwent a large renovation in 2012 with improvements to the interior of the mall. Skylight Specialists, Inc. will be the General Contractor on the entire project and work is projected to begin in the summer of 2019. The mall has several large skylights with the biggest of them all spanning over the heart of Center Court at 102 feet x 70 feet. This octagon skylight consists of 4 single sloped translucent polycarbonate sides that rise up to meet 15 barrel vault skylights that cover 30 feet by 60 feet. A site visit was conducted in May 2017 by Danny Packard to assess the skylights issues. 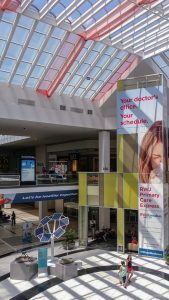 Our recommendations were made to mall owners for Skylight Specialists, Inc. to provide and install a new skylight design that will replace the barrel vaults with the BMS 3000 system—a tinted glass structural ridge skylight manufactured by Oldcastle BuildingEnvelope . This will feature updated gutters, high performance insulated glass and correct all issues with leaks. Additionally, we will replace all of the single sloped polycarbonate panels with new CPI Polycarbonate Quadwall panels. Acrylic barrel vaults are in bad shape. We were hired by B & B Builders to replace eleven half round, acrylic, barrel vault skylights located on the Littleton Day Surgery center. The building was completed in 1985 and the skylights were long overdue for replacement. We conducted a survey in 2009 and they were not in good shape then! One of the eight smaller unit skylights. Water has been trapped between the glazing. The tandem units will be replaced with one barrel vault. (1) unit(s)- 8.33′ wide x 46.00′ long odc. (8) unit(s)- 8.33′ wide x 8.33′ long odc. We can’t interrupt the scheduled surgeries. One of the project’s major concerns was to complete the project without disrupting the normal operation of this eye surgery center. With careful planning and our experienced crew, we were able to start the project after business hours on a Friday and complete it before the center opened for business on Monday. Several of the smaller units. Notice the difference in the profile of the old frame in the background. The curb of the old tandem units. New framework being erected to replace the old tandem units. The long barrel vault and the nearly square unit replacing the old tandem units. 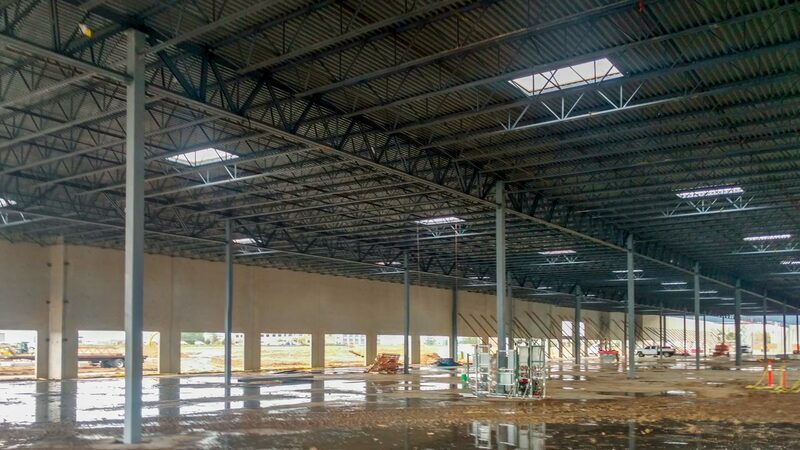 The CPI Daylighting Quadwall® system offers the best ratio of insulation to light transmission and should significantly reduce heating/cooling costs. 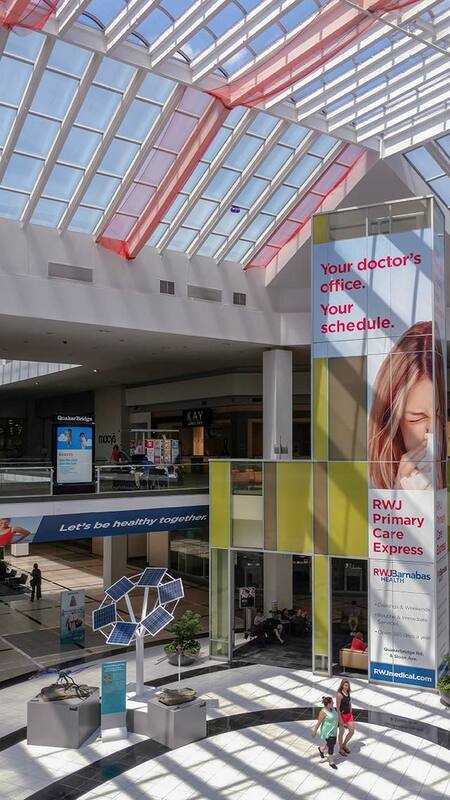 All while supplying superior daylighting—Anti-glare and diffused light meets and exceeds energy code requirements. In addition, replacing the tandem units with one unit eliminates a major source of problems—the nearly inaccessible gutter between two units. General Contractor: Golden Triangle Construction. Site: Louisville Corporate Campus at Colorado Technology Center. Our Part: Supply and install fifty Velux LuxGuard Dynamic Dome skylights with 16″ insulated curbs. Product Used: Fifty Velux CCA3_4896_1618 insulated, prefab curbs with 3/16″ Interior Security Bars. Product Used: Fifty Velux LuxGuard Dynamic Dome skylights. CD3_4896_3P1P1C2M Clear/Clear/White Prismatic Polycarbonate.